Every writer has their own process of creating their works. I truly believe that. What starts muddling things up for me, is when the legends in writing start giving advice and instead of holding true to our own unique creation processes, we change what works, to do what the legend does. After all, their works are legendary. What makes me qualified to ignore their expert advice? I have the answer. The fact that my brain works differently. When I decided that I would like to be a published writer, I started reading up on the craft of writing. 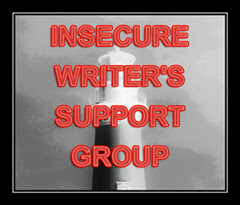 All those books advise you to find a critique group, or ask a few fellow writers to critique your work and after that, find beta readers to go over your manuscript again. So, that is exactly what I did. I won't lie, their feedback was invaluable. I learned a lot. Having said the above, my personality and writing doesn't do well during those two processes. I was so insecure during the critiquing process of my first book, that if someone said I should add a clown, I did. After all, this was my first book, what do I know? It was nobody's fault, but my own. I didn't know better. Having now been through the whole process and having published a novel, I want to do things a bit differently next time. So, no critique partners this time around. Just me and my editor. I may try the beta readers process again, but I also may not. Still not decided on this one. If people hate my book, because they didn't like the story, or how the novel unfolded and it's true to my vision, then fine. I can deal with that. But presenting a book I'm proud of and which holds true to my artistic vision is the most important thing for me at the moment. No more people pleasing. I just can't please everyone. I'm still stuck with book 2, but I'm slowly returning to a functional human again. So, hopefully the rewrites of book 2 will come along better now. So, do you prefer working with critique partners, or without them? Hello friends. How is everyone doing? Well, I hope. November hasn’t been such a good month for me. We had some family drama, then my aunt died, making my mom the last of her family. Also, I was recently diagnosed with an autoimmune disease. I’m still undergoing various tests to figure out which one exactly. I’ve had problems with my hands, especially my fingers for months and I was referred to a rheumatologist and I finally got an appointment yesterday. I still don’t know how I feel about having an autoimmune disease, possibly rheumatoid arthritis. It’s just been an emotional three weeks and I was too much of a mess to keep up with blogging, or my other social media obligations. But I hope everyone is doing good. Due to personal reasons I will not be online for a while. Please take good care of yourselves.